This post has been read 1970 times! 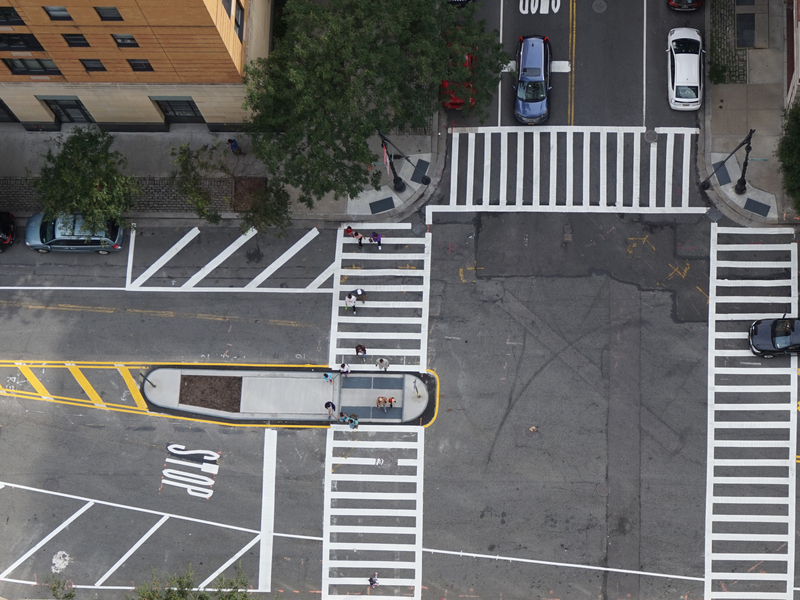 After two years of work by a community effort, with the cooperation of the City DOT, extensive street safety measures were designed for South End Avenue and West Thames Street. Then, the usual New York obstructionists came out of the woodwork to oppose the measures, and succeeded in getting the BPCA to put a stop to all of the DOT plans. Then, after that, BatteryPark.TV objected during a public BPCA meeting, and shortly thereafter, modified DOT plans were announced addressing only West Thames. 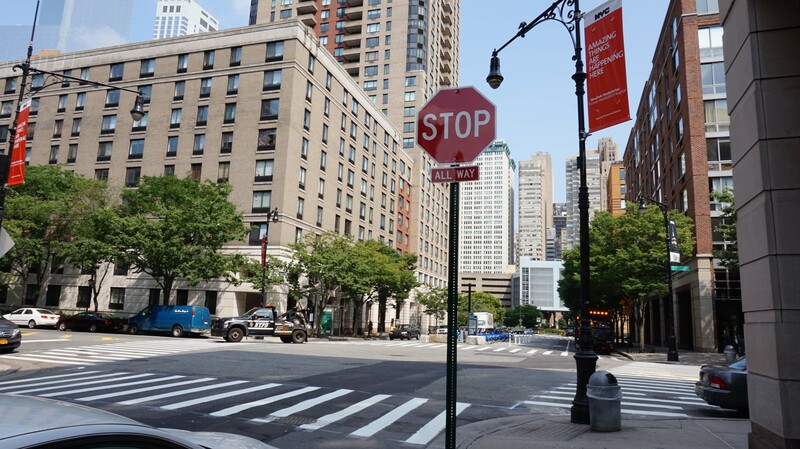 Finally, the 4-way stop sign crossings have been installed, along with a concrete media to make it safer for pedestrians to traverse the wide street. However, much more work needs to be done. The taxi line by Gateway Plaza is still an unsafe intersection where cabs routinely make blind U-turns that can kill bikers and pedestrians. Gateway resident and CB1 member Tammy Meltzer opposed the DOT plans to correct the problem, so the deathtrap remains. At Rector Place and Albany, those pedestrian crossings are still treacherous. The BPCA cancelled the DOT plans to improve safety. On West Thames, the stop signs are hidden by trees. Real traffic lights need to be installed. The BPCA has ample cash for such infrastructure projects, but instead of spending on the community, they take the local tax dollars and ship it off to the city coffers to fuel the waste and corruption. This entry was posted in - City government, Battery Park City and BPCA, Child care, Dangerous West Thames and South End Ave crossings, Schools. Bookmark the permalink.